Founded in 2002, QTel, LLC. delivers one of the most comprehensive arrays of integrated communications services available from any single provider. These solutions include local and long distance voice services, Internet access services, local access, and private line services. We have chosen to target small and medium sized-business because they are typically underserved by the incumbent local exchange provider (Baby Bell or Local Independent). QTel's objective is to provide one-stop shopping for communications services and to offer fully integrated broadband data and voice services through a single point of contact for sales and client care. We believe in developing strong relationships with clients by selling services face-to-face and acting as the client’s telecommunications consultant. QTel is dedicated to providing the highest quality of service, technology and responsiveness in the telecommunications industry in a cost effective manner. QTel's business plan is to build a company that brings together the most reliable and best services for its business customers. QTel's strategic partnerships have created unmatched communications capabilities and a range of second-to-none voice and data services tailored to the unique needs of business customers. To be the premier provider of integrated communications solutions for businesses. We only sell solutions and services to our clients that we can deliver. We "own" the issues with our clients and will coordinate with other vendors if necessary to deliver a service or to resolve a client challenge. We charge a fair rate to our clients. Continuing to service our existing clients is as important as gaining new clients. Savings of up to 33% off Verizon's rates. Rapid Response Customer Service, one of the highest levels of customer service in the region. You will be assigned a representative as a single point of contact. FREE Switching of your Existing Lines. VERY LOW International Rates (contact our sales representative for rates). Wide Range of Services: Local, Long Distance, Calling Cards, 8XX Numbers, Voice Mail, Point to Point T1, Local T1, Long Distance T1, Centrex, Internet, and more. ONE Consolidated Invoice with clear presentation. Exclusive Focus on small and medium-sized businesses. 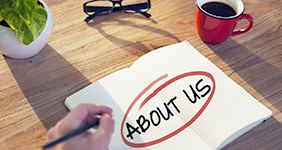 Customized Services: Let us know what else we can do for you! QTel is an organization run by telecommunications professionals with a tremendous amount of industry experience and a true customer focus.